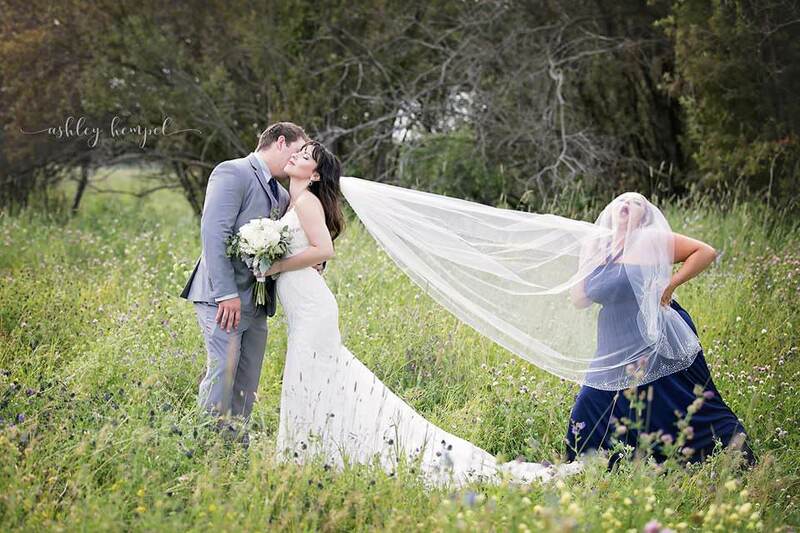 Photographer Ashley Hempel has a lot of experience when it comes to wedding photography, and when it came time for the bride’s veil to trail behind her dramatically in a series of elegant pictures, the beautiful moments were captured on camera. Not quite what I meant when I asked for a veil toss.” Hempel wrote. 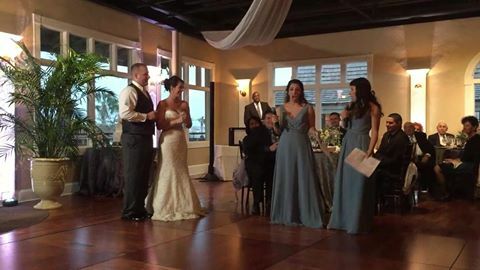 The maid of honor held up the veil…and decided to have a bit of fun with her assigned task!Friends since high school, Sharilynn had planned this moment with her newly married best friend, Becca…and thought it would be fun if the groom had no idea! The girls now live in different countries, with one living in Canada and the other living in the United States, so this event was made even more special because they were having a bit of a reunion at the same time. 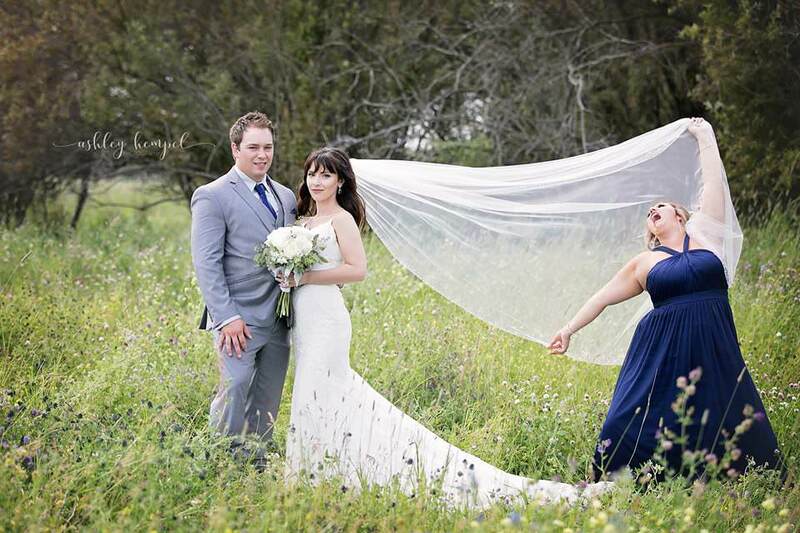 The bride and groom fought to keep straight faces while Sharilynn struck the silliest poses she could think of. Their quirky relationship captured in a beautiful setting was just what the bride wanted, and they pulled it off brilliantly!